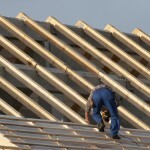 Roof Inspections, Lakeland, FL | Integrity Homes & Construction Inc. When we perform roof inspections in the Lakeland, FL area, we take the time to thoroughly examine the whole roof. Roof Inspections in Lakeland – Since you probably don’t spend a ton of time on top of your home or business’ roof, it can be hard to tell when a problem exists. If you’d rather prevent significant and expensive roof problems from occurring, at Integrity Homes & Construction Inc., we have a solution. With regular roof inspections, you can ensure that your roof is in good shape and catch small problems before they develop into extensive issues. When we perform roof inspections in the Lakeland, Florida area, we take the time to thoroughly examine the whole roof. After we inspect your home or business’ roof, we will likely be able to determine how much longer your roof will last and what steps need to be taken in order to preserve its integrity and functionality. Although having regular roof inspections done is the best way to preserve your roof, there are also certain signs that you can spot on your own that may indicate you have a problem with your roof. At Integrity Homes & Construction Inc., we are here to help you take care of all of your residential or commercial roofing needs. Get in touch with us today to schedule a roof inspection and to find out more about what this service includes. Integrity Homes & Construction Inc. offers professional roof inspections to clients in Lakeland, Davenport, Sebring, Haines City, Groveland, Auburndale, Bartow, Winter Haven, Plant City and all of Polk County, Florida!